Following some fantastic preliminary imaging from yestersol, today's plan (Sol 2039) is dedicated to additional imaging of "Red Cliff" before continuing to drive toward a location where we think we are likely to drill. We have a short science block to start the day, during which we'll use Mastcam to take some context imaging of our surroundings and upcoming terrain. 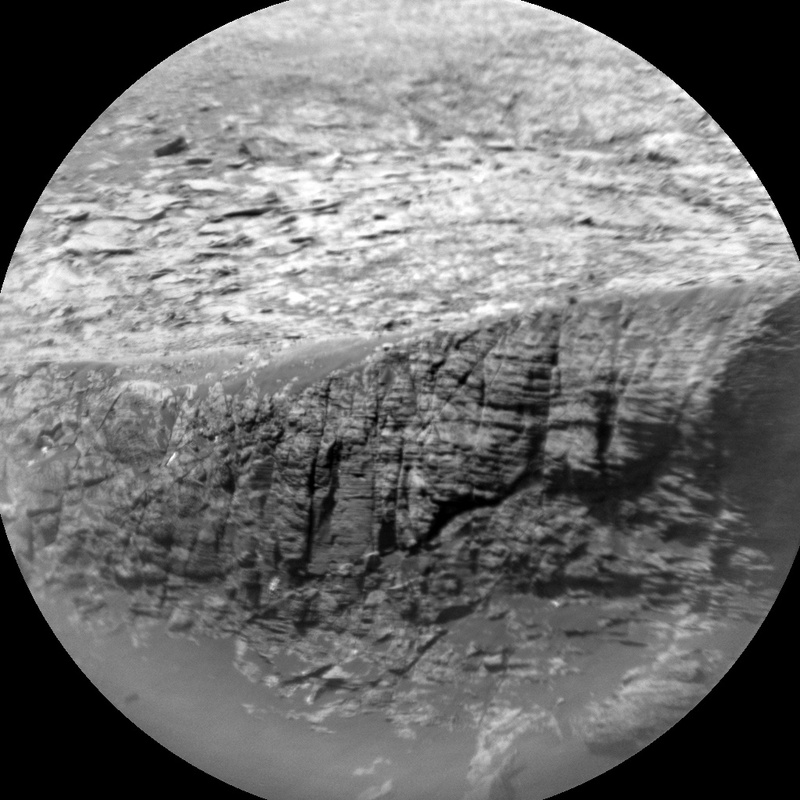 We'll then use the ChemCam RMI to extend our coverage of Red Cliff, similar to the black and white image above. These RMI images give us a really great opportunity to study small-scale stratigraphic details in rocks that are pretty far away from the rover. Following our science block, we'll perform a drive and take our standard sequence of post-drive images to set us up for tomorrow. We'll take a dust devil movie with Navcam as well as a post-drive AEGIS observation to collect some preliminary geochemical information at our next location. We also have standard REMS and DAN activities to round out another great day on Mars!